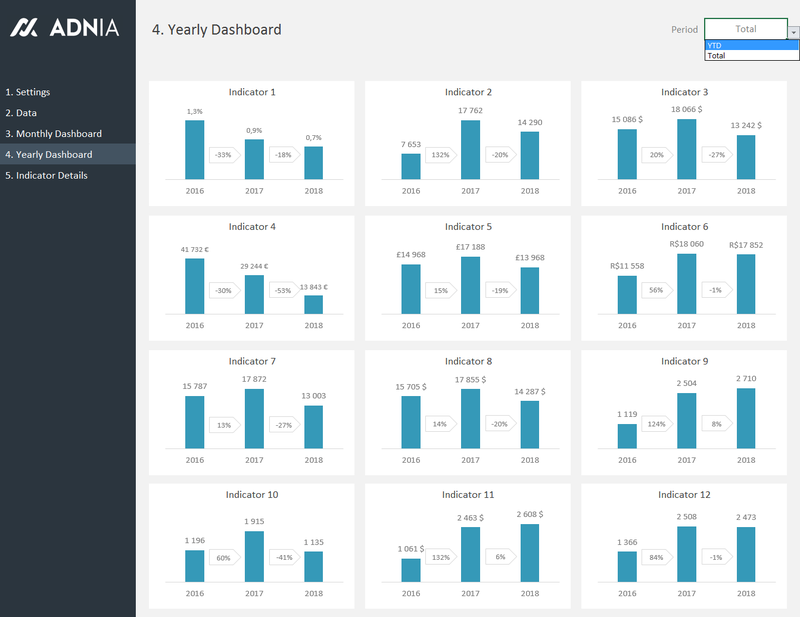 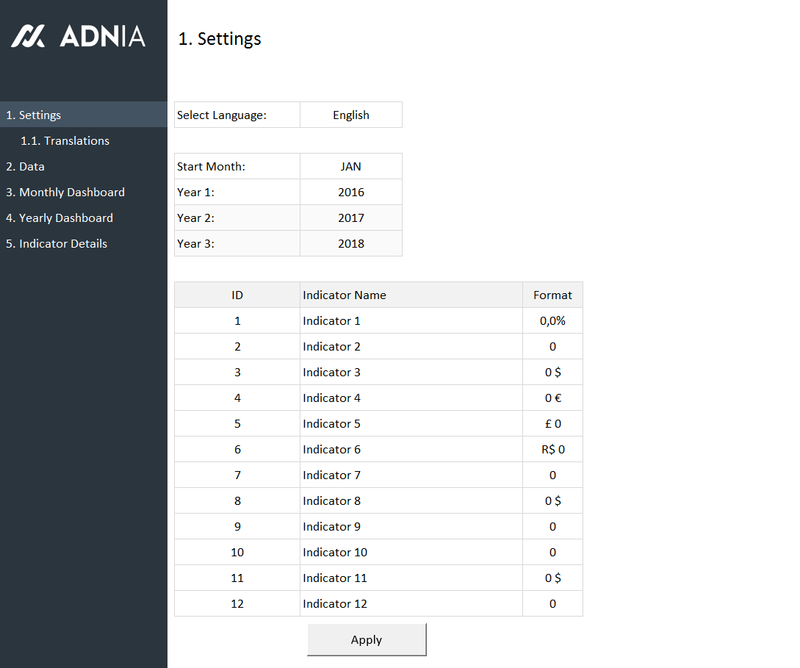 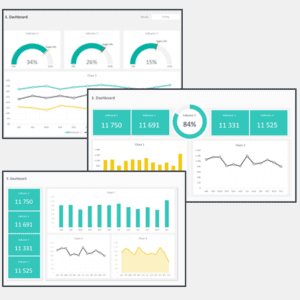 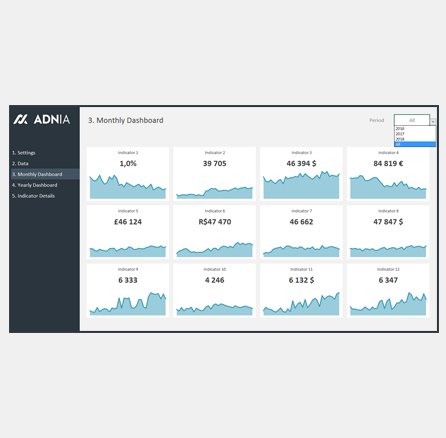 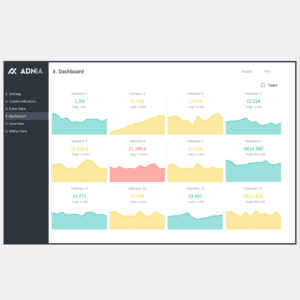 The Adnia Excel Dashboard Template is a spreadsheet template designed to help you track your company’s key statistics and present them professionally. 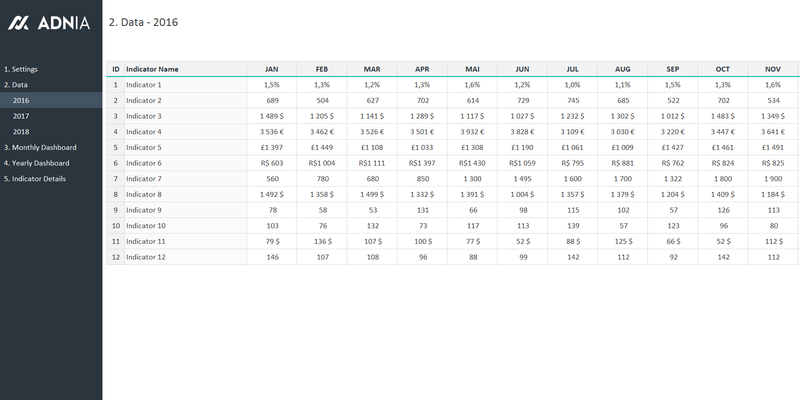 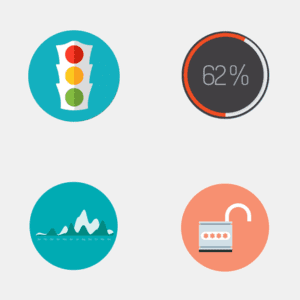 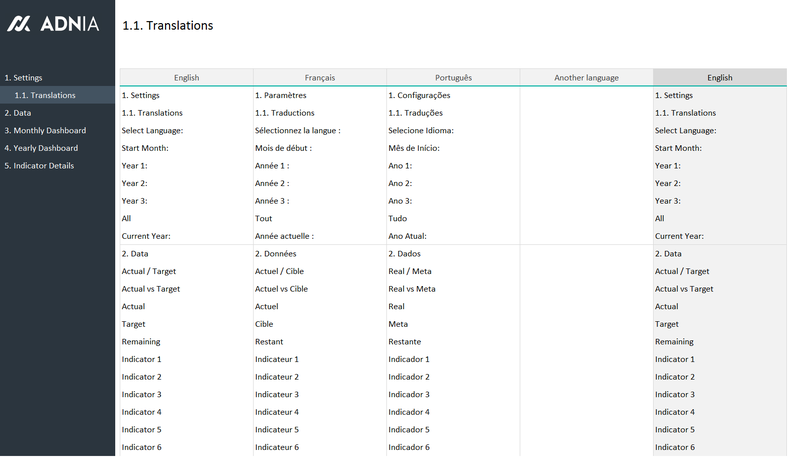 Enter the names of the indicators and easily configure their format to customize for your business. 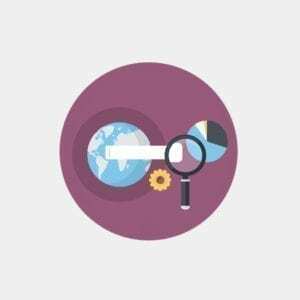 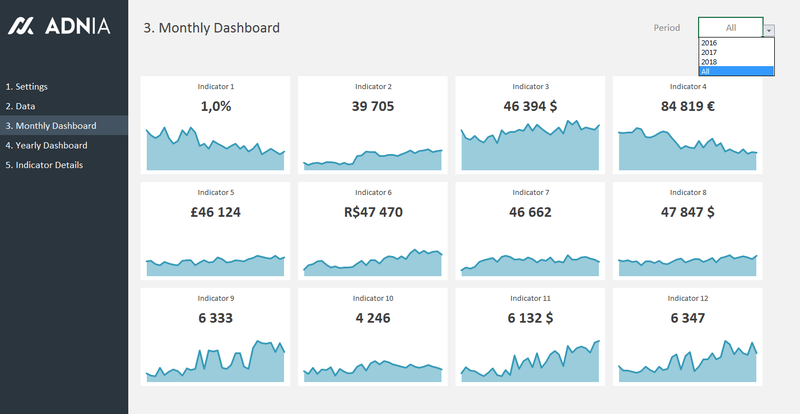 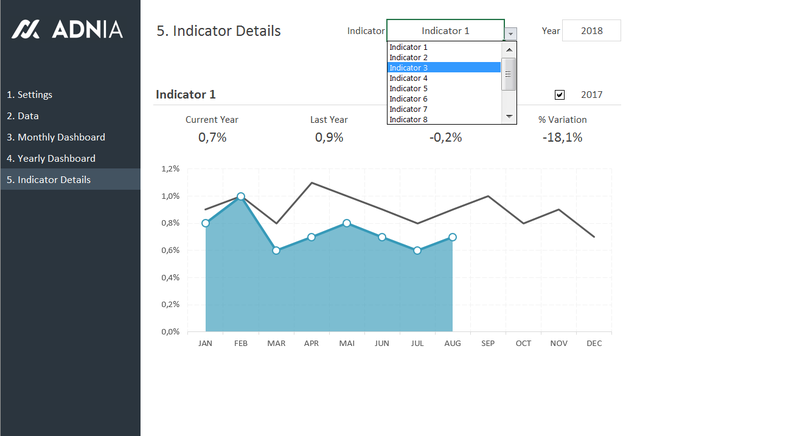 Enter your data month by month and use the dashboards to analyze and share the performance of your company or department.